Today is the official 150th post on Random Cuisine. I have a couple of great dishes that I wanted to post for this special day, but I was hesitant between two stunning dishes, the Maltese Pudina made by my Australian friend and the Tuna Samosas made by a friend from de l'Ile de la Réunion. Since this blog is after all exploring new cuisine, Maltese cuisine is very new to me and would be interested in learning more about it. It seems to be Mediterranean cuisine with some influence from Southern Europe. Pudina Tal Hobz also known as chocolate and fruit bread pudding is similar to a "classic" bread pudding but with chocolate and candied fruits. 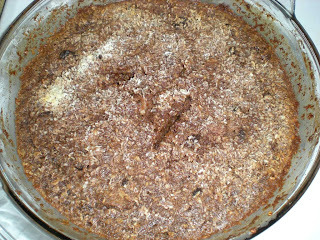 There are several versions of this dessert, some might or might not include quick oats and shredded coconuts. 2. 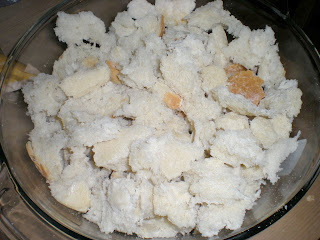 In a baking dish, tear the bread up and soak it in milk for 10 mins. 3. 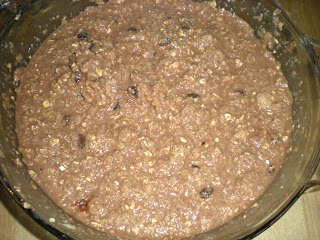 Mix in mixed fruits, quick oats, melted butter, eggs, brown sugar. Add enough cocoa powder until mixture brown. 4. Top with shredded coconut. Bake for 40 mins until firm or passes the toothpick test. Yet another dish I didn't know about - you always have new information! Congrats on your 150th post! Keep it up! Thanks Valérie, organizing collective cooking taught me a lot of new dishes that are very unfamiliar. With a great multicultural group of friends, they do surprise me a lot and exploring new taste! Congratulations on your 150th post! What an interesting dish. I love trying dishes from different cultures. Especially when it's dessert! Congratulations on your 150th post. This is new to me and never thought of making this. Looks good! I love bread pudding - yours sounds delicious. Congrats on you 150th post! There is no better way to celebrate than with chocolate, and this chocolate bread pudding looks fantastic!